Yesterday spent most of the day shooting a new "dating bot" performance. Wanted to do the lighting better, also got the white balance right this time! Considering the whole process, the performance worked better this time. I was more selective about which words I collected from online profiles, as well as how I composed them in order. 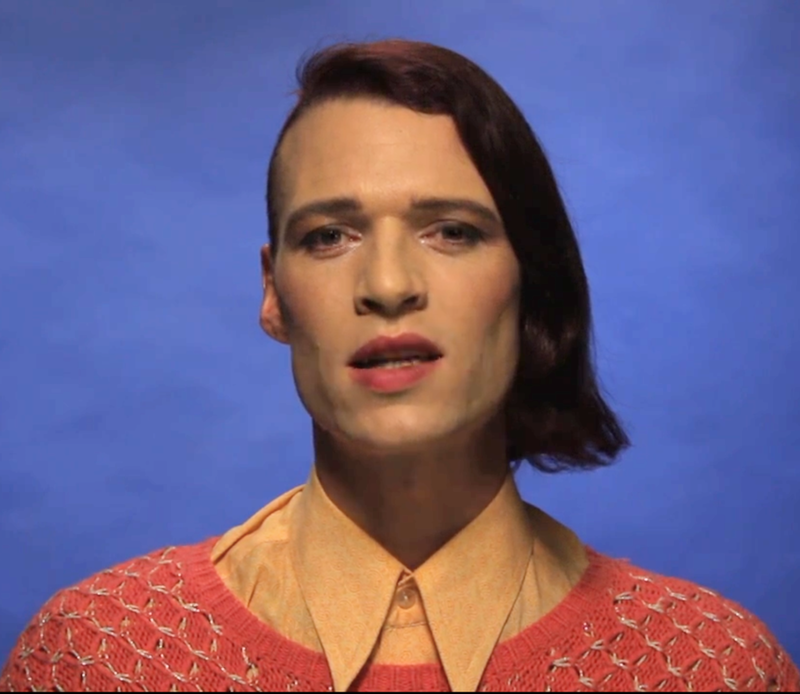 - statements to do with gender, sexuality or neurodiversity, etc. Identity politics, non-normative identities, etc. Im hoping the composition of fragments convey both a poetic and fragmented sketch that makes the viewer try to fill the gaps and create a sense of some kind of "compound profile" or slice of society perhaps. I then used speech synthesis to read these. I had to play/record it again in order to insert gaps into the track where I could respond in the final performance. It felt like those motivational excercises where one repeats self-affirmation mantra phrases. Or maybe when one is trying to learn a language and repeating the strange words as well as one can. I even tried to mimicking the intonation and the accent of the synthetic voice. Why? you may ask.. I'm hoping it activates a weird tension between my own authentic personality/character and the generic nature of the machine. The main idea I am exploring is an entanglement between human/non-human, self and other, so I like to blur the distinctions between these assumed categories. 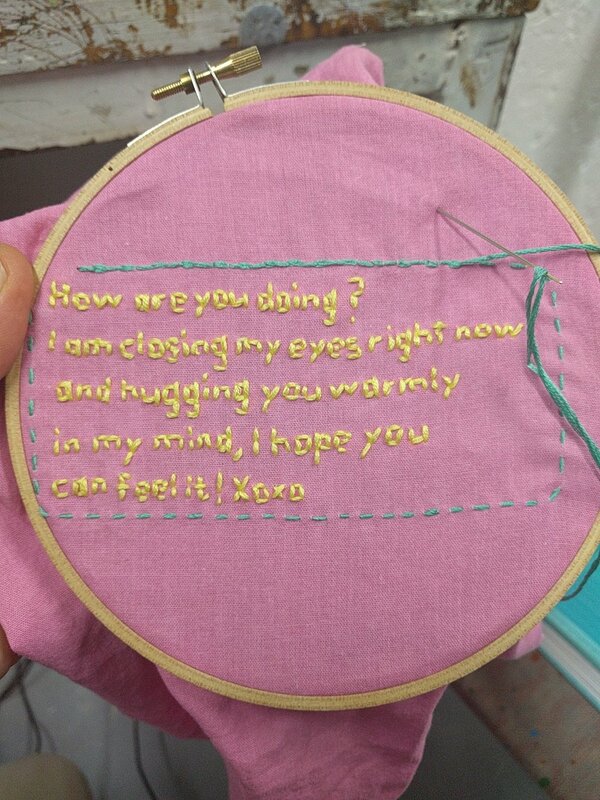 Still working on my embroidered texts. Also, playing Sims, and becoming interested in some idea of exploring simulated world's and relationships. I like to compose through the game situations that become like desired scenarios for my relationships. A virtual space as a proposition for relational performance. I am also interested in the social-normative ideals that are hardwired into the narrative structures of games. Consumerism, capitalistic ideals like marriage (tied to consumer culture), etc. 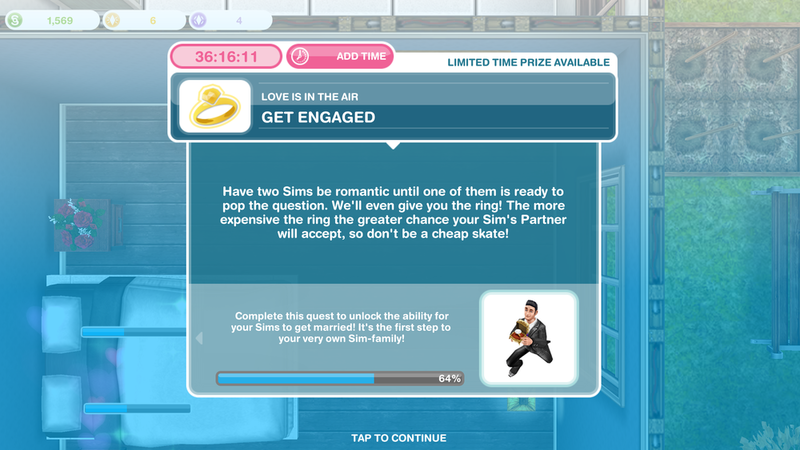 Maybe a reperformance of a Sims game, but queering all the norms and ideals.